The median home value in Rio Rancho, NM is $171,981 This is lower than the county median home value of $176,700. The national median home value is $185,800. The average price of homes sold in , is $. Approximately 73.53% of Rio Rancho homes are owned, compared to 20.07% rented, while 6.4% are vacant. Rio Rancho real estate listings include condos, townhomes, and single family homes for sale. . Commercial properties are also available. 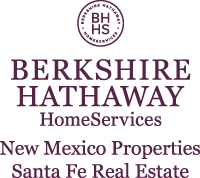 If you see a property Rio Rancho real estate agent to arrange a tour today ! Learn more about Rio Rancho. Huge lot next to an awesome home. This lot is price to sell considering it's location! Let's make a deal and you can build your dream home on this quiet street! Come take a look and you'll see the value! Three adjacent lots that total over two acres at the end of the block that make a great investment with potential upside being located close to a major intersection on Paseo del Vulcan & 27th. Lot 23 is .55 acre; lot 24 is .76 acres; lot 25 is .77 acres. Investment Lot -- Price to sell, Desirable developing Unit 11 -- LOT NEXT DOOR AVAILABLE MLS# 941989.. Please do not use ''Click for more Information'' I will not respond ... use your telephone for conducting business and we will happily answer your questions. . NO REALTOR OFFICE PROCESSING/ADMINISTRATIVE FEES CHARGED TO BUYER ON THIS LOT SALE. ... Priced to sell --Seller will not pay for survey at this price. Seller may consider Owner Finance . Investment Lot -- Price to sell, Desirable developing Unit 11 -- LOT NEXT DOOR AVAILABLE MLS# 941991.. Please do not use ''Click for more Information'' I will not respond ... use your telephone for conducting business and we will happily answer your questions. . NO REALTOR OFFICE PROCESSING/ADMINISTRATIVE FEES CHARGED TO BUYER ON THIS LOT SALE. ... .Priced to sell -- Seller will not pay for survey at this price. Seller may consider Owner Finance .